Are you a cabbage fan? Some are and some aren’t. My husband and I love cabbage, and we love this recipe for One-Pot Cabbage Casserole that both he and I grew up having. 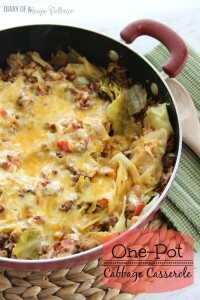 It’s filled with ground beef, rice, tomatoes, cheese, and of course, cabbage. It’s super easy for any night of the week and just as special for a Sunday dinner. Plus, it is cooked up all in one pot with no need to bake it in the oven. Now as far as cabbage goes, I’m still working on my kids. Yes, I had to take out the cabbage for them to eat it, but I got really good reviews from them once I did this…we are taking baby steps around here. So I’m hoping you have some cabbage fans in your house and you’ll give this one a try! You’ll love it! I’m a huge cabbage fan! Hi Vickie! It serves about 6 people. Hope you love it and thanks for visiting! Thanks for sharing. I’ve got all in my kitchen! Found your One Pot Cabbage Roll Recipe this morning and fixed it tonight for supper. I was very happy with the results but since the recipe makes. a large pot and since it is just my husband and myself, I was wondering if you would suggest freezing the leftovers.? I really think freezing it would be fine Karen. We normally don’t have much left over with our crowd, and we eat it the next night too. I’m sure it will do fine though! So glad you liked it! This really sounds good and I like easy too. My question is do you use regular or instant rice? Or does it matter? I am making my grocery list and want to get the best results. Hi Cindy! I do not use instant rice. I buy medium grain rice, but use long-grain if you prefer that. Thanks for visiting! I only comment on recipes I have actually made and served to my family because let’s face it , something can look delicious in a picture but dissppoint ! Fortunately this recipe was delicious made exactly as printed! It was so much easier that making stuffed cabbage but just as good! Thank you for posting! Hi Chris! Thanks for letting me know! We love this one too! Would you happen to have the nutritional facts? Hi Malcolm! I do not typically post nutrition facts. Personally, I like to use the My Fitness Pal app on my smartphone for all recipes I find online. All you have to do is copy and paste the link where you add your food/recipe in the app and it calculates the calories, etc. For this recipe, it calculated it to have about 423 calories, 23.9 g of fat, 14.8 carbs, and 38 g protein. Hope this helps! Hope he loves it Chelsea! I made it with quinoa instead of rice to increase the nutritional value and it was delish, even our 4yr old and 2yr old are it up! That’s a great idea Mary!! Thanks for sharing! I was thinking of doing that too. Did you have to adjust the amount of water? Oh my gosh. I grew up having this for dinner as it was on permanent rotation in cold months. My mother made it. About the only difference was that she didnt use cheese but put a little bit of curry powder in as well and always called it chow mein. I have no idea where she got the recipe as she was born and bred in the English Midlands, but the first time I had authentic chow mein I realised poor Mum had been labouring under a delusion ha ha. Bless her, but the recipe was always delicious and warming on cold winter nights when we needed something hot, hearty and filling, served over creamy mashed potatoes. Thanks Lynne! That version with mashed potatoes sounds wonderful!! Do you think that you could make this in the crockpot? what variations would i need to make? Hi Melissa! I’ve never made it in a crockpot. You would have to brown your ground beef anyway, and it really only needs to cook for another 20-30 minutes after that. So I’m not sure it would be worth it. To save time, you could always brown your ground beef ahead of time and have your veggies chopped too. Thanks for visiting! Was I suppose to add water to this recipe for the rice to cook? My rice was still a little hard and the bottom of my pan burned, causing the food at the bottom to burn. What did I do wrong if I followed your exact directions? Nadine I’m so sorry! I updated the recipe! Thank you for letting me know, and I really hope you’ll try it again. No worries, I will try it again! Looks scrumptious! Perfect for this cooler, almost fall weather. I will be trying this very soon. Thanks for the recipe. This recipe looks really good and I’m gonna try it tonight! One question. Do you use any type of seasoning, or do the flavors of the ingredients alone do the trick? Thanks. Hi Cheryl! Yes, I always season my ground beef when I’m browning it with creole seasoning. You can use whatever you prefer. Thanks for visiting! How many servings does this make? I may be overlooking it. Hi Karel! I would say it will feed 4-6 people. Thanks for visiting! Hi Jaren~~I have a niece named Jeran, both unusual and beautiful names. I just happened upon this recipe and “Zing went the strings of my heart”!! LOL Jeran this looks so delicious, and not exactly a difficult recipe to come up with, but it just hits the spot with me. I have a head of cabbage in my fridge, YAY! so I will be making this tonight. For me, but not hubby, who I doubt will even come in the kitchen while I’m making it! LOL That’s ok, more for me, and what delicious leftovers! I have an 83 yr. old Scottish neighbor who loves my cooking (such a sweetheart!). I’d have never thought of the mashed potatoes though, but it sounds heavenly! Thank you so very much for the wonderful recipe! This is the first recipe of yours I’ve seen, so I must sign off for now and get busy perusing!! I am going to rate this even though I’ve not tasted it. After so many years of cooking, one tends to be able to “taste” a recipe by looking at the ingredients. Bye for now. Thanks Diane! Hope it came out great! It is just my dad and I. Neither one of us are big eaters so this would last us a week. Any tips for cutting the recipe in half? This looks delicious and I really want to try it. Thank you! It worked great! I went ahead and halved the recipe just as you said. I did end up adding about two handfuls of the cabbage and I still sprinkled the top with a whole cup of cheese (because there is no such thing as too much cheese! ), but it all came out perfect. We still have lots leftover to last at least one more meal and maybe even a lunch. The other cabbage casserole recipe I had used involved the oven and it was really nice not to have to turn the oven on when it is 100 degrees outside! We love this recipe it’s a good meal I make cornbread to go with mine my whole family loves this recipe. It’s so fast an easy to do. Can’t wait to try more of your recipes. I too made it without water as the recipe had originally said and it burned but I managed to salvage what didn’t stick to the bottom of the pan added water and cooked till rice was done and water was absorbed. Added the cheese and it was yummy! I love this dish it is so good so easy and cheap! I did however only use 1# of hamburger meat as the price of beef is insane right now and it was plenty I thought. It is very good eaten with saltine crackers! Thanks for sharing! Hi Daanna! I’m so glad it still worked for you! Love the saltine cracker idea!! That sounds like a great way to prepare it Megan! I’ve never made it with brown rice, so that may have increased the cooking time. Also, some people will lift the lid before 20 minutes, and the rice will take even longer because you let out all of the heat. Thanks for visiting! I found this on pintrest and thought I would starve to death just reading the recipe! I have loved cabbage any way I can get it since I was a child. Mama used to make Corned Beef and Cabbage as it was her and Daddys’ favorite meal. My brother, a year older then me hated cabbage and I hated the Corned Beef so we would wait til Mama and Daddy weren’t looking and he would take my beef and I took his cabbage. This recipe made me think of those wonderful childhood memories, Thanks. This is what we are having for Sunday dinner and I can hardly wait my hubby is really looking forward to this as well. Hi Shellie! I’m so glad it brought back great memories! Hope you guys love it! Oh Jaren, It was even better then my hubby or I thought! It needs 10 stars. Thanks again for the recipe for the Cabbage Casserole! Oh I’m so glad you guys enjoyed it!! Thanks so much for letting me know! Found this on Pinterest and can’t wait to try it. I’d love to be added to your group boards, I have some yummy creations I’d love to share! Valerie Hoff on Pinterest. I just made this tonight and instead of plain diced tomatoes I used a can of rotel and it was delish!!!!!!! Wonderful! We love Rotel too! Often Mexican dishes in Mexico have shredded cabbage instead of lettuce. Cabbage has a longer life plus more nutrition than iceberg. Cabbage is a main vegetable in some cultures. I like slaw and cooked cabbage. I am going to make it for my cabbage role making neighbor. What a nice thing to do! Thanks for visiting! I hope y’all love it! Do you use long grain rice or minute rice? Hi Debbie! I use medium grain rice, but I’m sure long grain would be fine too. I use to make stuffed cabbage rolls alot when my girls were growing up and they loved them but they were alot of work. I found this recipe and tried it my husband and I both loved it. I don’t think I will go through the work to make cabbage rolls again after this recipe love love love it!!!!! Hi Peggy! I’m so glad you loved the recipe! Thanks for visiting! Awesome Lisa! So glad you loved it! Thanks for visiting! I had everything for this recipe, but the tomato sauce, so I used Pizza Sauce. I did not have to use the creole seasoning then and it added a unique flavor with the garlic and spices. Turned out fantastic and everyone loved it!! What a great idea! Thanks for visiting and letting me know!! 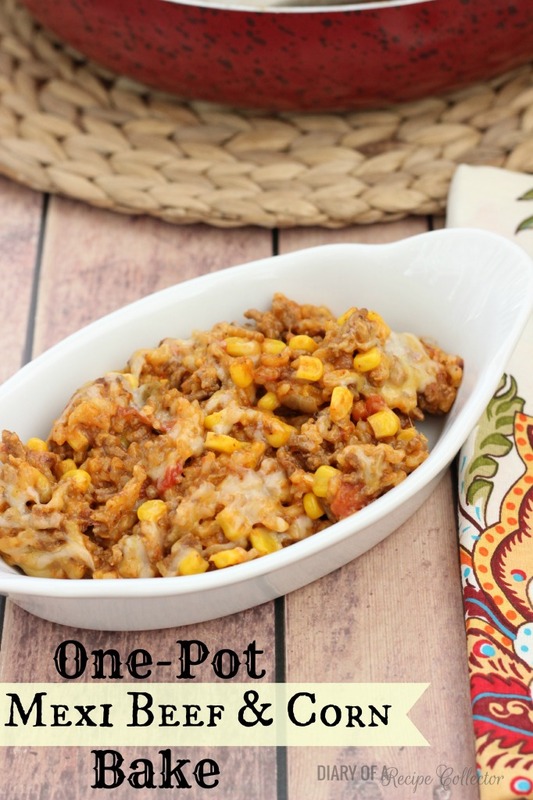 I have made this in my rice cooker before, but have used ground beef and sausage. It is so easy and it feeds a great deal of people. I just buy the shredded cabbage in the bag for cole slaw, about 2 bags and between that and the meat it fills up the rice cooker. I also like cornbread with this. Oh my goodness Sheila! That sounds wonderful!! I love rice-cooker meals! Thanks for visiting! Has anyone tried to brown grind meat add onions , drain Greece then add all ingredients together then cook in a rice cooker. My sister n law said it works .I will try it. Hi Dianne! Yes, I think it would work fine! What size rice cooker did she use? Jaren, u sacrifice SHOE SPACE ????? To keep your recipe books instead???? Well, I never !!!! Mine is cooking now. I am using 1 lb of hot Italian sausage and 1 lb of smoked sausage in place of the beef. I’m excited to try!! Awesome! I bet it will be fabulous! Really delicious. I used ground turkey and garlic sausage instead of hamburger. Turned out great! That sounds great Ash! Thanks for letting me know! I’m so glad it turned out great for you and your family Jeri!! I made this tonight! However I added a few drops of Worcestershire and a pinch of brown sugar to make it similar to a cabbage roll recipe I have. Thanks for sharing! It smells delicious! Oh that sounds so good Amanda! I’ll try that next time too! Thanks for sharing! Such a great idea Dolly!! Thanks for letting me know! Can you use Minute rice? Thanks! Hi Denise! I haven’t tried Minute Rice in this dish. I would think it would be fine to just cook it separately according to package directions and then mix it in after the cabbage is finished cooking. If you put it in the dish, I’m not sure how it would turn out since the cooking time is different from regular rice. If you do try cooking it in the dish, please let me know how it works out. Thanks for stopping by!! This is on the stove right now and smells FABULOUS! Found the recipe on Pinterest. Variations I made: 2 pounds ground venison instead of beef, long grain brown rice, Old Bay seasoning, and a few red pepper flakes. I can’t wait to dig in!! Thank you for sharing! Awesome Tonya! Thanks for sharing! I was curious if I change the white rice to brown rice, do I need to add more water? Hi Meghan! I’ve never used brown rice in this dish, but from what I’ve read, I think you would need a little more water and would want to cook it a little longer. Try adding an extra 1/2 cup of water and check the dish about 5 minutes later. If the rice is still not cooked, add a little more water and cook a little longer again. Thanks for visiting! Thanks Valerie! So glad you liked it! Hi Valerie! Glad you liked the Cabbage Casserole! Thanks for letting me know how it turned out with brown rice! Great idea! Excited for this tonight. My mother in law Mary made the best cabbage rolls I have ever had. They were know in the family as “plopski’s” 😉 They took such a long time to make. I am hoping these will be similar without all the blanching, rolling and baking! I added some worcesterchire and basil because she always did. Wish me luck! Yay! I hope you love it! We sure do! Can you add bacon and or green, yellow, red or orange peppers? If so would I fry my bacon then add it like the hamburger? I think browning the bacon with the hamburger would be great too. If you do want the bacon crispy, then I’d do it separately and add it. That and the peppers sound like great ways to add even more flavor! Thanks for visiting Samantha! Since my husband doesn’t eat rice is there another “low carb” option to replace it? Or can I make it without the rice, reducing some liquid? Hi Cindy! I think this would still be delicious without rice too. I would probably only use 1 cup of water in order to give some liquid to allow the cabbage to steam and cook. I have not tried any “low carb” options with this recipe. Thanks for visiting!! Lorinda that is a PERFECT idea! Let me know how it comes out! Thanks for visiting!! Oh I’m so glad it worked out great Lorinda!! Love that you made it completely low-carb! Such a great idea and thanks for letting me know how it worked out! I substituted the ground beef for ground turkey, regular rice for brown rice, and as far as the tomatoes, I used one can of regular hotel tomatoes, and half – a whole can of HOT hotel tomatoes. The ground turkey is great, the brown rice is good, and the tomatoes, especially the hot tomatoes add a little spice to it!! I love my food a little spicy so it is perfect. I also sent the recipe to my aunt and uncle and to my parents. They loved it! And they can’t wait to make it again. This casserole is the best!!! Awesome Brittany! I’m so glad you all loved one of our favorites! Thanks for sharing! Wonderful recipe. I added a handful of diced carrots and green peppers and swapped in Brown rice to make it even healthier. I have to sneak in veggies wherever I can with my crew!! We got a cabbage in our co-op basket this week, and I had no idea what to do with it. I found this on Pintrest and made it tonight. We loved it! I used one pound of ground deer meat and some season salt instead of Creole seasoning. Thanks helping us try a new healthy veggie. Tried this for St. Pats day-easy to throw together and enough for seconds! Awesome Abby! So glad you liked it! Loved this recipe!! I’m featuring it on my blog tomorrow. Delicious! Hi Diana! 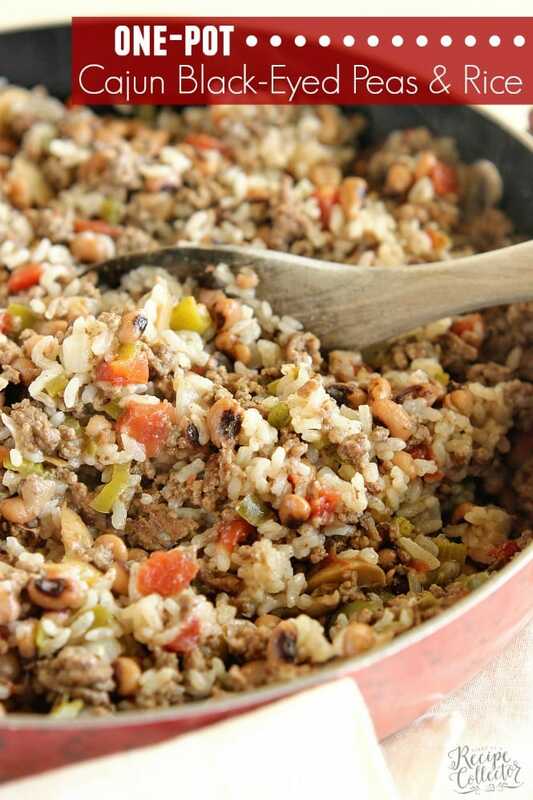 You would need to brown the ground beef first, and then add all the other ingredients except for the rice. I’ve never tried rice in the crock pot before, so I’m not sure if that would work too well. You could make it separate and then mix it in. If you choose to just do the stove top version, it really doesn’t take too long. Thanks for visiting! I wanted some Irish cabbage goodness for my husband’s and mine first St. Patty’s together, so we decided to try this and it was delicious! We loved it. A new tradition for our young family. I’m going to try it with brown rice next time I make it as well. Thanks Bailey! I’m so glad you like it! It is truly one of our favorites! Delicious and easy! Used only half of cup rice and 1 cup chicken broth. Turned out absolutely amazing. The melted cheese on top really sets it off! Awesome Aaron! So glad you liked it! I really enjoyed this. Thank you for sharing. Looking forward to others! I’m so glad you liked it! Thanks for visiting! Sounds great! I’ll have to make this for my husband since he loves cabbage. By chance have you tried to freeze this meal? I wonder how it would work out with the cabbage. Maybe brown the beef, combine everything, and then freeze? What do you think? Hi Britney!! I have not tried to freeze it, but I think it would do fine. You could make the whole recipe from start to finish but divide it into two separate dishes/aluminum pans to freeze. Then you could eat one that night or just freeze both! Let me know how it turns out! It is one of our favorites! Jarin have you ever tried to freeze leftovers of your cabbage casserole? Hi Judy! I have not frozen it before because we normally eat the whole recipe in a few days. I do think it will freeze fine in a freezer storage bag or container. I freeze that kind of stuff often. Just use it within 3 to 6 months. Thanks for visiting! What a comfort dish and it was delicious. I varied it a little by substituting the beef w/ corned beef , omitted the rice , decreased the water by one cup, and served over mashed potatoes. Wowza! thx for reminding me how much a love cabbag ANYTHING!! Definitely a keep er of a recipe. Oh that sounds delicious Beth! Thanks for sharing! what are the number of servings & serving size? Hi Debbie! This makes about 6 servings. Thanks for visiting! Jaren, I made this for dinner tonight and it was amazing! My whole family loved it, and it will definitely be a new go-to recipe. I used a can of garlic and onion diced tomatoes because it’s what I had in the cabinet. I’ve been wanting to make this for a while now and I’m so glad I finally did! LOVED IT!! Ashlyn!! Thanks so much for trying it! It is one of my favorites, and I so glad you guys liked it! really great & easy recipe without the hassle of rolling those darn cabbage leaves! I’ve made this two previous times since finding the recipe recently. Since I have the time, I like to let the sauce simmer a bit before adding the rice and cabbage. I’m also trying with the addition of some cinnamon for tonight’s version. This recipe is great for leftovers—- nice for those of us not cooking for an entire family anymore—-even better as the flavors have a chance to meld together. Thanks for a nice addition to my “collection “. Hi Mary! Thanks so much for letting me know! The cinnamon sounds great too! Thanks Carol! We love this recipe too! I love how you changed it up with the pasta! I used a can of Rotel. Then, since I try to eat brown rice when I can, I used that. I used 2 cups of water & had to cook it for almost an hour, but I’m used to having to wait longer for brown rice. 😏. In fact, with the tomato sauce & juice from the tomatoes, I ended up having to let the dish cook a little longer, uncovered, at the very end, to cook off some liquid. Next time I’ll try a cup & a half of water. Jaren, with the cabbage diced , it cooked down so well, I bet your kiddos might not even notice it! Who knows, they might grow to like it if they could just taste it! Lol. My little grandson gobbled it up! Great job, Jaren! Love your blog & can’t wait to try more of your recipes!!! Awe! Thanks Aunt Joan! You are so sweet! When I first posted this recipe, I had no idea it would get such a huge response. It really is one of our favorites! I’ll need to try all of your suggestions because you are one of the best cooks ever! That’s a very generous compliment, Jaren, coming from someone I truly admire! Thank you. We are lucky to be in a family who loves to cook, eat and spend time together! Keep sharing your yummy recipes!!! I would leave out the rice and it would be low-carb. Hi Deb! Yes, you sure could do that too! Thanks for visiting! Can you make this without the tomato? I make cabbage rolls without tomato. Hi Penny! I think that would work, but you may have to replace some of that liquid from the tomato sauce and diced tomatoes with more water or even beef broth. I do think it would still be great! Thanks for visiting! Hi Tina! That is an option, but I would reduce the amount of water a little so it’s still there but not too soupy. Hope it comes out great! Thanks for visiting!! I used fire roasted tomatoes with garlic but no creole seasoning. It could use a little more flavor (my fault) so I will add creole next time. Yay Kelly! So glad you liked it! It’s one of our favorite recipes! Thanks for visiting and letting me know!! Thank you for this!! My family absolutely demolished this- so I sent the recipe on to my sister. When she made it for her family she got a hug and a ‘thanks mom’ from her picky 2 year old. Hi Gwen! Oh that just makes me so happy to hear! Thanks for letting me know! Oh Yum! I’m always looking for new ways to use the foods I like. This will be a regular go-to recipe now, thanks to you, Jaren. Happy Cooking & Eating! I’m so glad to hear that Karen! Thanks for visiting!! Hi~ I’m in the process of making this, and not very experienced w/ cabbage. Any idea how much is a handful? Hi Laura! The great thing about cabbage is that it cooks down so much. It really doesn’t need to be precise. But I usually end up adding almost the whole head of cabbage-about 3 to 4 cups. Hope you enjoyed it and thanks for visiting! Thanks! I just winged it and added a bunch. It was very very good, and will be again tonight on account of how much I made! My husband and I are both new on the cabbage band wagon and I’d like to try more cabbage recipes. Thanks for sharing! I made this recipe based on the positive comments. For me I didn’t like it so much. It is lacking something and that could be the hours that the traditional cabbage rolls cook to merge all the flavors.. Cooking this so quick made it easy but it wasn’t worth it when you lose taste of homemade cabbage rolls.. So I am going to pass on making this again and just go back to the traditional way of making them. Hi Cindy! Thanks for trying the recipe. I have some of those recipes myself, where I like a low and slow process. Thanks for visiting, and I hope you’ll try others. 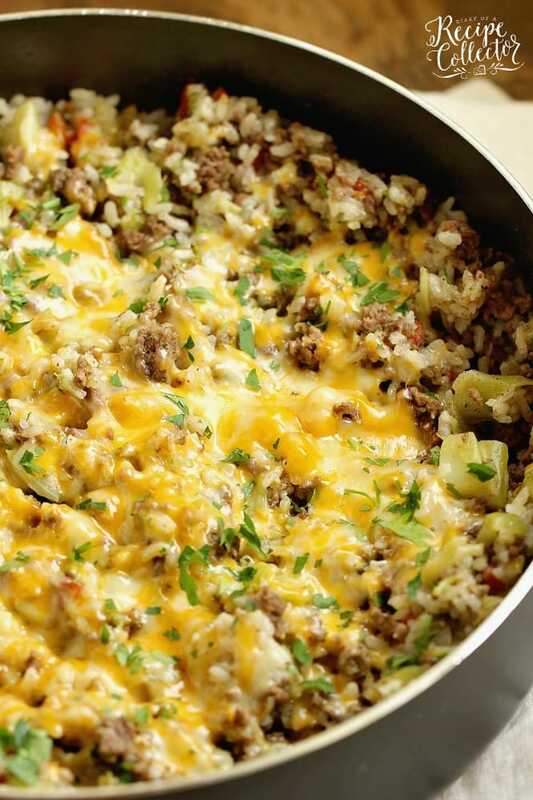 This recipe looks AMAZING but family doesn’t eat ground meat! do you think it would work with Shredded chicken? Hi Lisa! I think shredded cooked chicken would work. It would be a totally different dish, but I think the flavors would be great together. Thanks for visiting!! I made this and loved it– I also added a can of chopped green chilies which added a great depth of flavor. Hi Deb! I love that you added green chilies! That’s a great idea! Thanks for visiting!! That’s awesome Tracie!! Thanks for sharing!! My husband would always start in August asking the produce guy at the farmer’s market if the flathead cabbage was in and if he had any big ones. When it was available, we would make batches and batches of cabbage rolls. They froze well and my boys would stop over to grab a couple bowls for themselves. My husband passed away last year and I haven’t been able to bring myself to ask for the flatheads so far. But with this, I can make a favorite with smaller heads of cabbages. Thanks for the recipe and reminder of good times. In regard to one of the comments about the cabbage recipe not tasting like standard cabbage rolls, I’m going to make the recipe and bake it in the oven instead because I knew that just cooking it on the stove would not give me the same taste. I add just a bit of hot sausage to my cabbage rolls to give them a little zing and always add a little sugar. Hi Joyce! I love that sweet and spicy combination! I DO NOT UNDERSTAND THE PROPORTIONS FOR THE CABBAGE CASSEROLE. ONE CUP OF RICE WITH TOMATO SAUCE, CANNED TOMATOES, PLUS TWO CANS OF WATER, PLUS THE WATER FROM THE CABBAGE SEEMS LIKE SOUP TO ME. Hi Diane! Even though the normal ratio is 1 cup of rice to 2 cups of liquid, this recipe turns out great! I promise it is not soup! All that liquid is needed and cooks out and the rice does a great job absorbing most of it while still leaving the recipe moist. Hope this helps and have a great new year! I just made these for my family and they were a HIT! We devoured every last one of them .YUM. Thank you Jaren! I made this last night and it was very good! I substituted the plain tomato sauce for tomato soup as that’s what I do when making stuffed cabbage rolls. I also added a few shakes of garlic powder. My son loved it and went for seconds, and I didn’t even use a whole cup of cheese! Thanks for the great recipe :). So glad you liked the recipe Tracy!! Thanks for visiting! I love adding sour cream to dishes! That sounds great in this one too! Thanks for visiting Dani! Hi Denis! It is tomato sauce, which is a little thicker than the soup. Thanks for visiting! I didn’t lift the lid until after 40 minutes and I did everything correctly but my rice is still crunchy 😭😭😭 help !!! Hi Macey! What type of rice did you use? It sounds like it needed more water added after about 20 or 30 minutes to finish cooking. It’s okay to lift the lid and check it to make sure after 20 minutes. Your heat needs to be on low also. Sorry you had trouble! I made this….it was delicious! It’s only me but I’m sharing it with my cousins family….it made a lot!!!! I didn’t use cheese but I added bell pepper I love veggies!!!! Great recipe!!!! Hi Karen! So glad you enjoyed the recipe!! Thanks for visiting! I was skeptical at first but this dish was a hit with myself and husband, I did the ground beef and also added beef hillshire farm sausage. Will definitely be apart of our week night meals. Thanks for sharing. Hi Yolanda! I’m so glad you liked it! Thanks for visiting! Hi there! Just tried your recipe and it was delicious! Wasn’t sure about the shredded cheese on it, so I made it without it, but with my second serving I put some one and microwaved it so it was melted. Tasted great either way. I wanted a “third” serving, but had to control my self! I may try rolling some of it up in a flour tortilla to have it like a burrito just for a change to eat the leftovers. Hi Gim! My mom and dad skip on the cheese, but I adore cheese on just about anything. Glad you liked the recipe! Thanks for visiting! I’m trying this vegetarian style in the crock pot. Our AC is out, I don’t want to stand over a hot stove. I’ll keep you posted. The crock pot worked great!! 6 hours on low then added the rice (I used a cup of wild rice) put the crockpot on high for 30 minutes then added the cheese. 10 minutes later, dinner. It was great after a long day. P. S. I’m a vegetarian so I left out the ground beef. Hi Maria! Thanks so much for letting me know how it worked out for you! Love that you tried the crock pot! I just found this recipe today and it looked like something that I could fall in love with, I made this for my family’s dinner but I must confess that I did some tweaking to your recipe. First I could up six slices of bacon in the main pot while I was Browning the burger and onions in another, when the bacon was slightly cooked I took it out of the pot and diced it up into quarter inch pieces and left the bacon grease in the pot. After dressing the burger and onions I put them in the main pot with the bacon and all of the other ingredients and finished cooking like your recipe calls out to do, oh almost forgot I used a can of Rotel with chipotle and green chili peppers. My wife and I thought it was a really great meal. Thank you for this recipe it will be part of our dinners from now on. I love your additions Kevin! That sounds delicious! Thanks for visiting! Hi Maggie! I love the UK twist on this!! That is very cool and thanks for sharing. This was delicious!! It is only me and my husband so I assumed we would have leftovers the next night. I was not expecting he would eat two heaping plates for dinner!! There is just enough for us to both have a little for lunch but two dinner portions are out of the question. He literally ate more than half the pot. This was really good and super quick. Thank you for sharing!! So glad to hear that Saunya! Thanks for visiting! So happy to hear that Saunya! Thanks for visiting! Delicious! I was wondering what to make for dinner and Googled “recipes with ground meat, cabbage, and rice” and this was one of the first to pop up. So glad I made it – bookmarked it for later! Hi! I’m so glad you found it too! It’s one of my most popular recipes on the blog! We love it too!